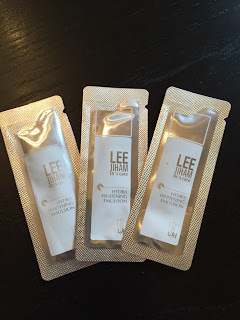 Today's post is on a haul for Leejiham (LJH) products that I purchased recently from HKC Plaza. HKC Plaza is a website located in Singapore. 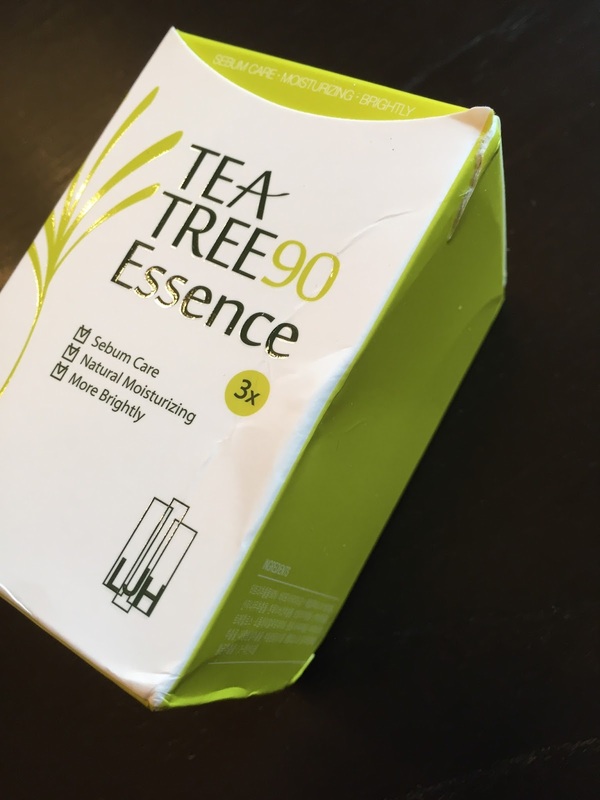 I found out about this site through the Asian Beauty sub community on Reddit. I was first introduced to the LJH brand several years ago when I received a deluxe mini in a Memebox here! 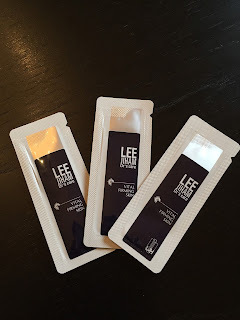 As I stated above, I purchased these Leejiham products from HKC Plaza. When I first heard about this site on Reddit, I admit that I was not sure if the site was legit and reputable, selling genuine products. I decided to placed my first order with HKC Plaza a few months ago and posted this haul here on Instagram. 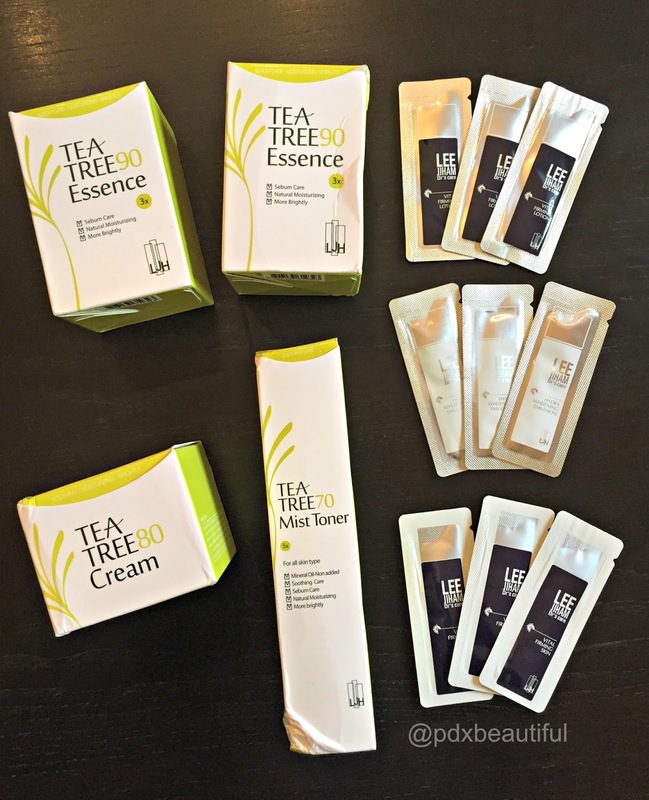 I was happily surprised when my order arrived within a month and the products were indeed legit!! 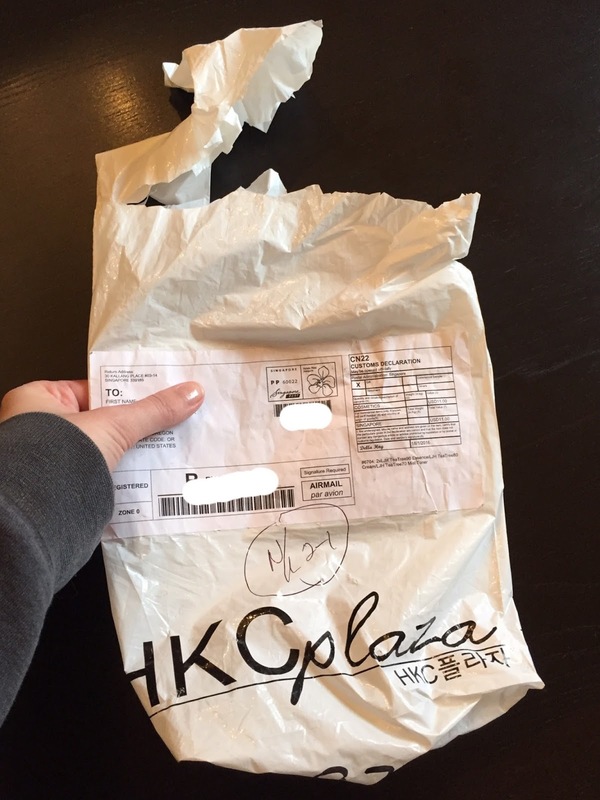 Here is the packaging :( I will say the packaging on both orders from HKC Plaza have been delivered in a plastic bag. 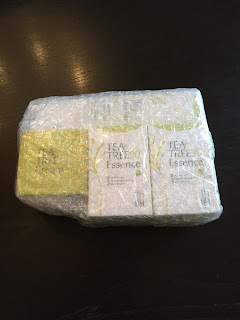 Yes, as you can see the products are wrapped very well in layers of bubble wrap but I am still a bit disappointed in shipping glass bottles (even with all the bubble wrap) in a flimsy plastic bag. On both orders, the products boxes were dented in the corners as you will see below. 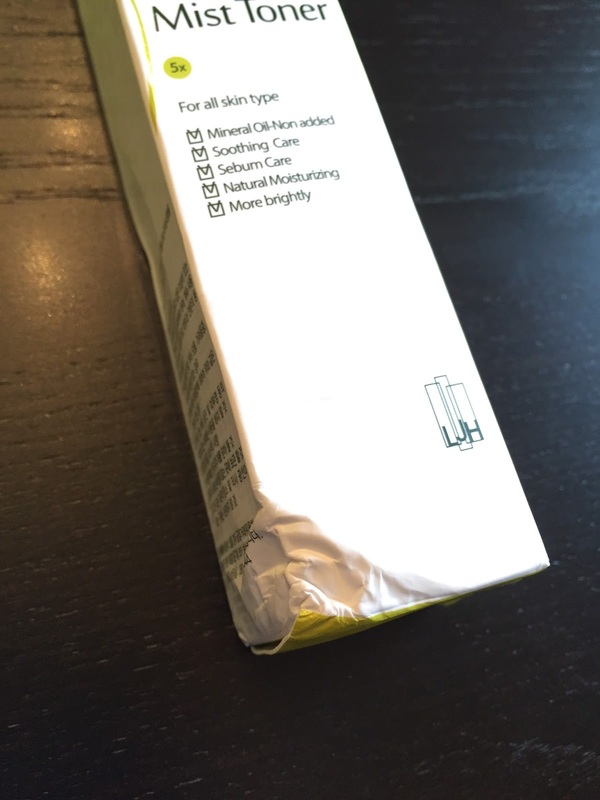 Aside from the packaging, nothing arrived broken thank goodness but I would like to see this company upgrade on their shipping materials! 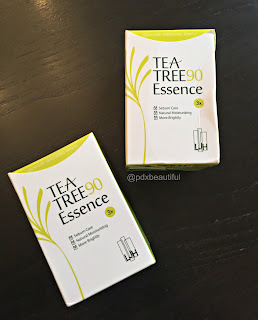 I purchased 2 back ups of my favorite Tea Tree 90 Essence. 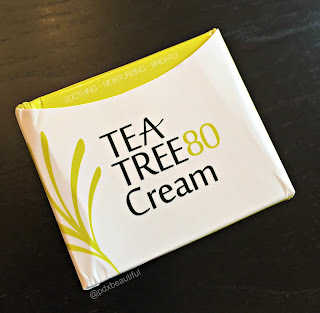 I had been hearing great things about the Tea Tree 80 Cream so I got one of those to test out. 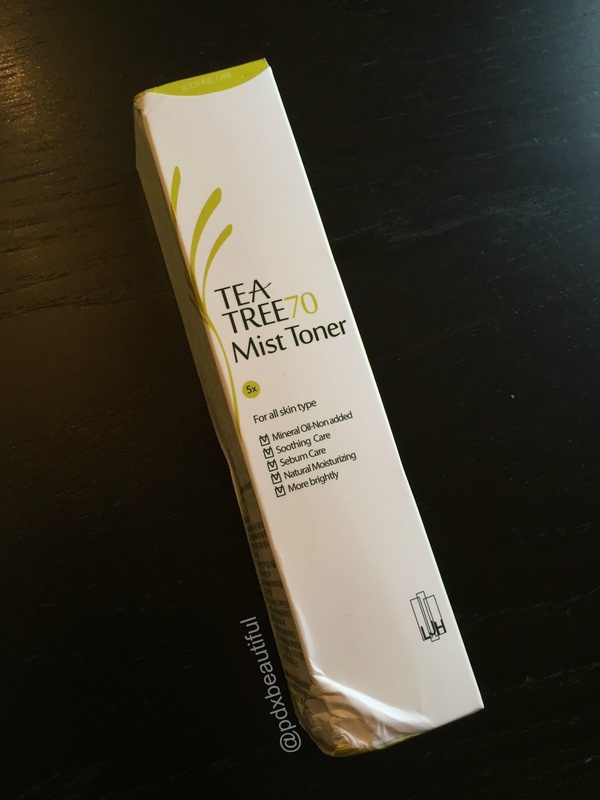 And lastly, I have been addicted to mists lately as mists are so beneficial for the skin throughout the day. I have heard some positive reviews so I decided to pick up the Tea Tree 70 Mist Toner. I was happy that HKC Plaza included some nice samples. 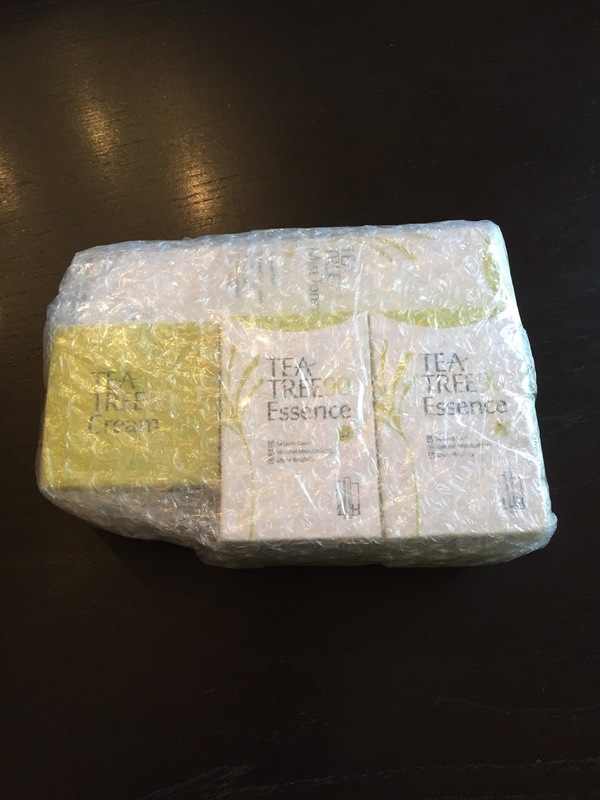 I ordered on January 15th and received my order on February 2nd which to me is pretty quick shipping. 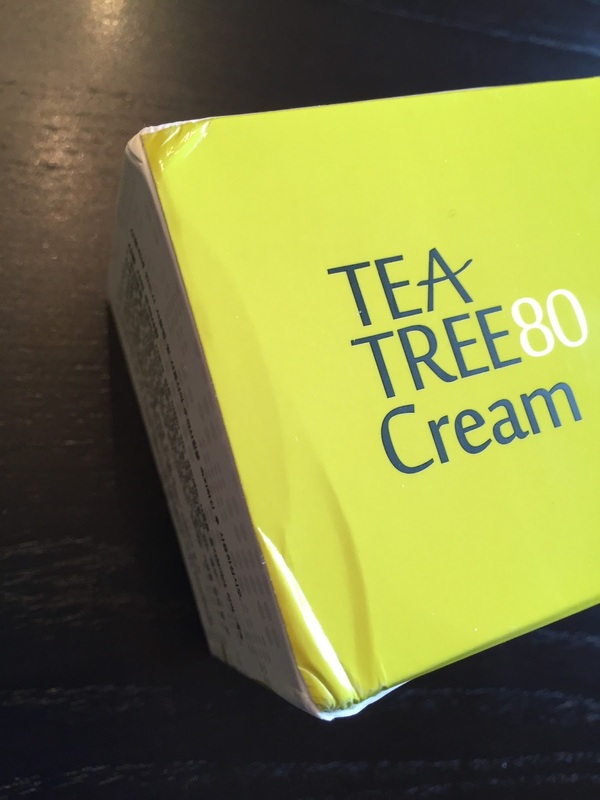 Although the boxes were dented in the mail, I am very happy with my experience. 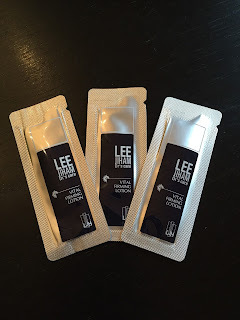 Fast, free and registered shipping including some nice samples makes me a repeat customer. I do hope HKC Plaza does upgrade their shipping materials in the future but since both ordered were not damaged, this will not keep me from ordering. I especially love that they offer such great discount codes that make purchasing good quality skin care products more affordable. Have you tried Leejiham products? ?